Posted on 04/10/2012. By Pete Otaqui. 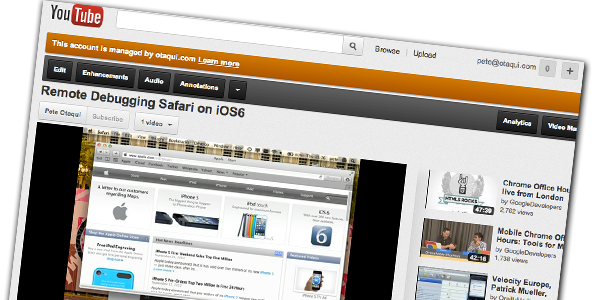 I’ve covered how to setup remote debugging for Safari in iOS6 devices, specifically the iPad. 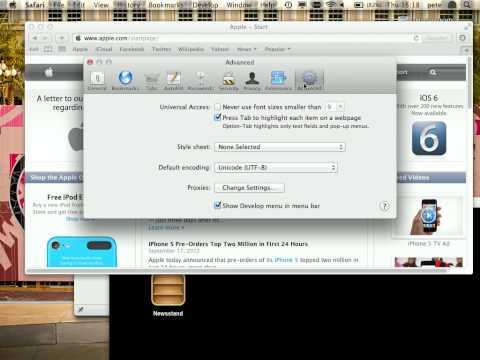 In this youtube video I’ve used the simulator, but it all works just as well with a hardware iPad connected via USB. Previous: HTML 5 Burnout? Or just a lazy Flash guy?